(Re)Cover slat in Mast(eR) Solar Total Transparent profiles made from TRI-extrusion polycarbonate. High impact-resistance, tenacity and UV resistance. 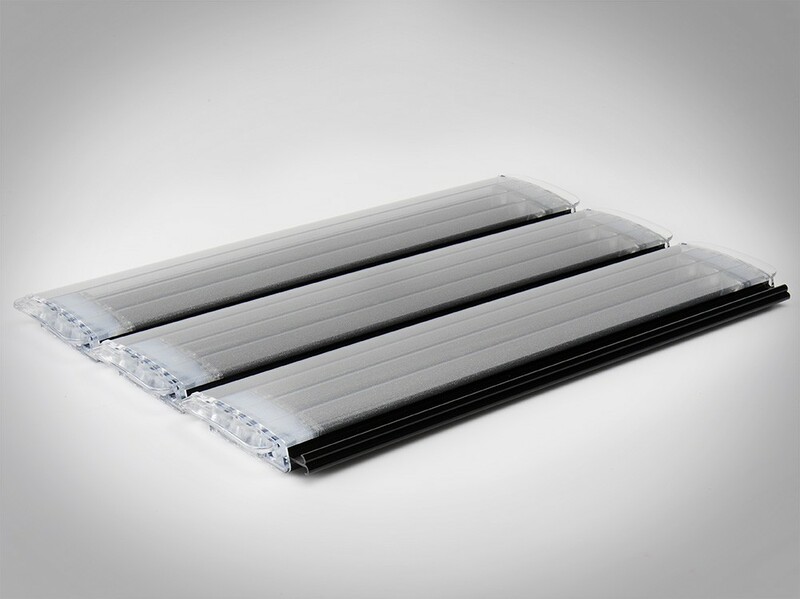 The TRI-extrusion top layer makes it resistant against extremely high and extremely low temperatures. The silver finish ensures a beautiful effect and condensation is less visible. In contrast, the solar effect is approx. 30% less than in other polycarbonate solar slats due to the reflection of the sunlight. Especially suitable for outdoor pools.